I have a bit of a request here, if you know where I can get something similar to that Superdry coat for less than the £99.99 they are asking please can you let me know. I desperately want a yellow rain coat but I am also a massively tight assed cow who doesn't want to spend all her months pennies in one go. Cheers m'dears! 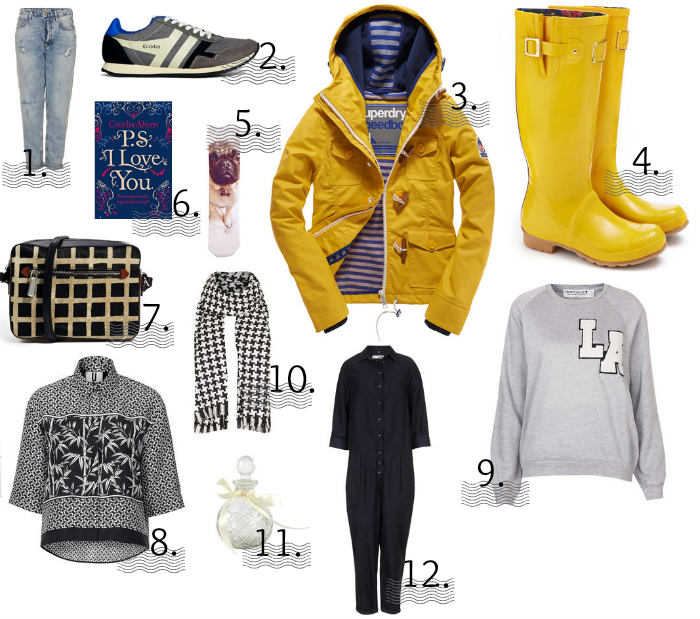 I'm loving the yellow jacket and wellies, although at the moment you might be called upon to help rescue someone if you wore them! digging that houndstooth scarf and jumpsuit, great selection here love ! Great wishlist, I would be quite happy with all the items myself. I love these wellies! So lovely color! LOVE the jumpsuit. There's a gorgeous silk one in Topshop atm that I'm dying to own.